Noopept Powder is a popular nootropic compound with reported cognitive benefits. Noopept is similar to the racetam family of nootropics in mechanism and effect, but it doesn’t have the same pyrrolidine structure and is considered to be much more potent–up to 1,000 times more according to some research. Noopept is a supplement where you need to start out at a low dosage and increase your dosage as you need it. Start out with a dose of just 5mg three times a day. The typical dosage eventually becomes between 10-30mg a day with some people taking up to 40mg a day. However you should never take more than 20mg three times a day because it can overstimulate your glutamate receptors. Memory – The primary benefit of noopept is the ability to improve memory and learning. It helps your brain form memories, as well as helping in the consolidation and retrieval of memories. Because your brain processes and manages stimuli noopept keeps the signals from your senses streamlined and essentially organises them better, making it easier for your brain to store and retrieve them. The more you continue to use Noopept the more you’ll notice that it’s much easier for you to process the information you absorb during the day. You’ll have an easier time recalling names and places, and things you thought you forgot. Neuroprotection – Nooptept has been shown to have neuroprotective benefits. It stimulates your neurons which keeps them healthy by preventing damage from oxidation and apoptosis. If you suffer from some form of cognitive impairment or are worried about developing one in the future then taking Noopept is a great way to prevent further damage and keep your brain functioning properly. NGF – NGF is Nerve Growth Factor and it’s a special kind of protein that stimulates the production and maintenance of nerve cells; which includes your brain cells. NGF is one of the main players in the process of neurogenesis; when your body creates new cells. Increasing NGF levels supports the process of neurogenesis and makes your neural networks perform better. Almost every aspect of cognition is improved through increased NGF levels. BDNF – BDNF is Brain-Derived Neurotrophic Factor and it’s another kind of protein with similar properties to NGF. BDNF is involved in the production and retrieval of long-term memories. Increasing your BDNF levels through Noopept can lead to improvements in your long-term memory. There are a lot of different Noopept stacks out there you can try. 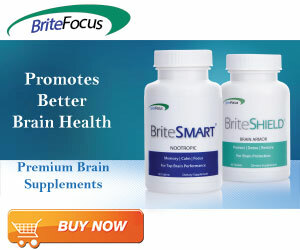 It is commonly stacked with other brain boosting supplements to give a wider range of benefits. One of the best Noopept stacks is stacking it with Piracetam; which is known to reduce anxiety and make you more creative. It’s also a good idea to combine Noopept with a source of choline such as Citicoline. This gives you plenty of acetylcholine, which is used in making memories in the hippocampus; making it a perfect partner for a memory booster like Noopept.